An eight-piece sign making set from Amana Tool. Sign making is more of a design/build proposition than a production challenge. The customer only orders one or two of the same sign, so there are usually no economies of scale. It can take as long to set up the job as it does to run it on the CNC, and after that’s done most of the work still remains. Painting and finishing signage can be a meticulous and time-consuming task, but the rewards are high. 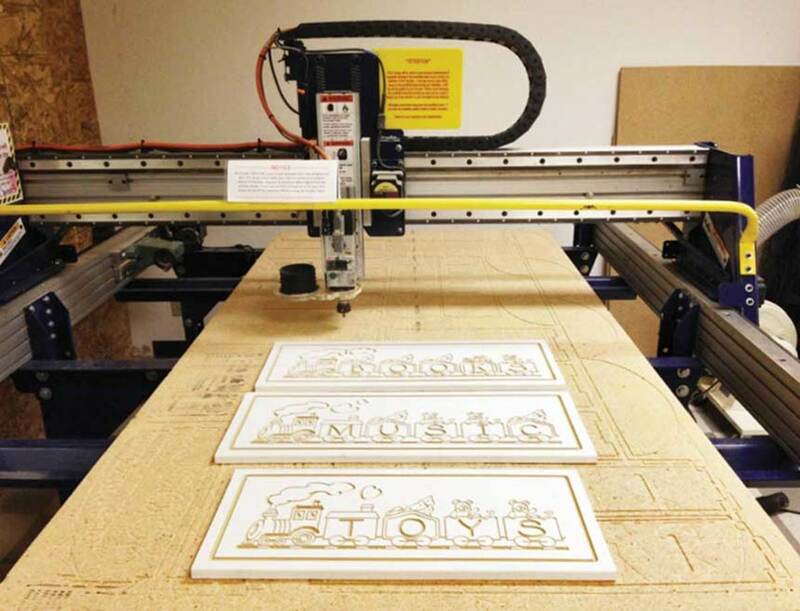 A great sign will draw more on art than craft, even for woodshops that are milling it with a CNC router. And the CNC doesn’t restrict construction to wood or wood products. You can also consider working in foam, acrylic and even non-ferrous metals, all of which have tooling constraints. But first, you need a design. The design process can begin as anything from a sketch on a napkin to completed drawings delivered via email. Most of the time, it’s somewhere in between. The customer often prints a number of images from his/her computer of samples that appeal, or brings in amateurish but well thought out drawings made by hand or perhaps done in a basic illustration program. If the woodshop has somebody on staff who is handy with Photoshop and other imaging programs, that can really help. But there are also comprehensive CAD programs that can cut quickly to the chase and get a project ready to mill in very short order. Vectric Software (vectric.com) is used extensively to produce simple 2D shapes or to increase the value of a job by going full 3D. It’s relatively easy to use and flexible enough to create a wide variety of parts and finishes in a large selection of different materials. That’s the key here – design software that lets one think outside the box by using shape and color to create impact. 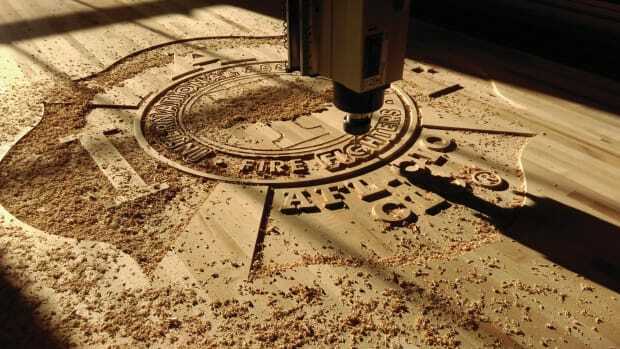 Vectric’s Aspire and VCarve Pro programs both include the tools to design and carve complete signs in one piece of material, or to accurately create separate parts that can be easily finished and then assembled. Anyone with even a basic CNC and slight artistic flair can use these tools to cut out letters and shapes, layer 2D parts to create a 3D effect, create prismatic or beveled edges on letters, do inlays and even stepped inlays, or add textured backgrounds. Both programs will also import or export 2D vector files from other design programs such as Corel Draw, Adobe Illustrator and many others in DWG, DXF, EPS, AI and PDF formats. That “relatively easy” part can be a bit misleading. If this is your first rodeo, you’re not going to be able to just sit down and start drawing. It takes time and practice, but once you get past the intimidation of a new challenge, it really is rather easy. Most software publishers will allow a shop to download a free trial, and it’s a really good idea to use that to draw something that already exists first (perhaps a piece of simple furniture in your office), rather than jumping straight into design. Vector has video tutorials and lots of templates to help get you started. Most designers would probably begin with VCarvePro and add Aspire when they’re ready to build more complex forms and details. 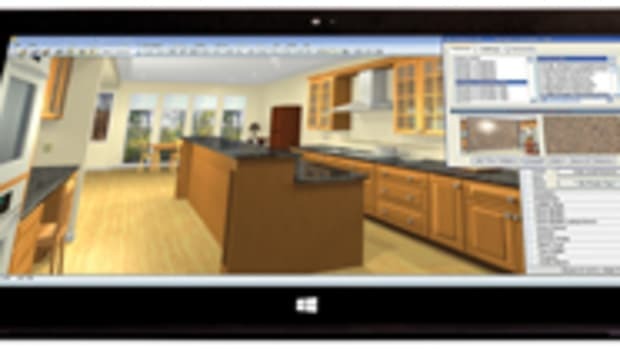 EnRoute Software by SAi (thinksai.com) provides CNC software and CAD/CAM design software for CNC woodworking and sign making. It provides precise tool-pathing, and a library of sign-ready elements including vector graphics and textures. Router-CIM 2018 Automation Suite is a complete CNC machine programming package from Cim-Tech (cim-tech.com) that combines CAM features with the power of AutoCAD.And for basic design, SketchUp (sketchup.com) is a 3D drawing program with a relatively short learning curve. 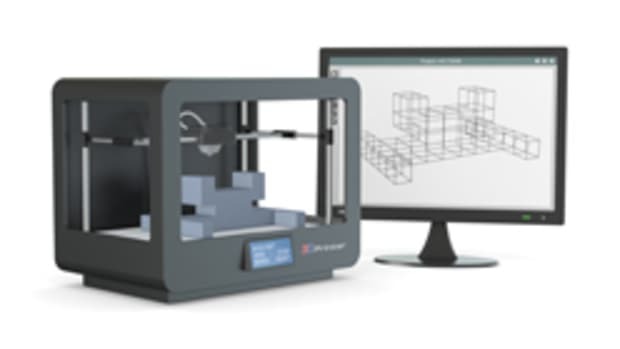 And Autodesk Fusion 360 is a CAD/CAM program that has full 3D modeling, advanced sculpture and rendering, runs on Windows or Mac, and can generate 2-1/2 and 3D toolpaths from 3D models. Rhino 3D (rhino3d.com) is a free-form three-dimensional modeling tool that will essentially create any shape you can imagine. The nice thing about sign making is that you don’t need to invest in heavy-duty, incredibly rugged cutters that can chew up MDF all day long. In fact, the opposite is usually true. The tools (router bits) are usually quite fine, as signs often require great detail. Many textures and images are engraved, more than carved. 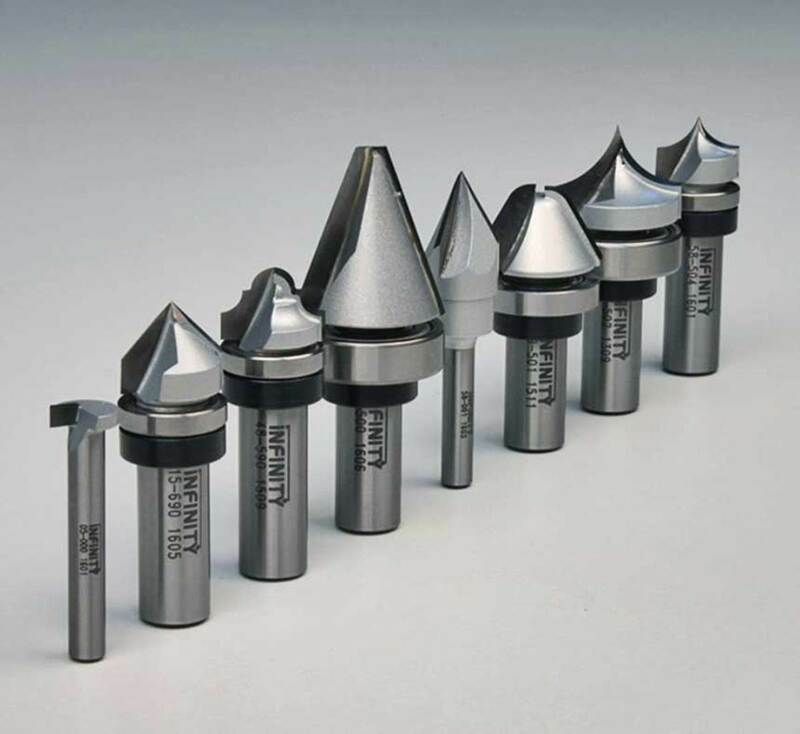 Amana Tool (amanatool.com) has a large catalog of sign making router bits. The first thing that will strike a woodworker here is that most are variations of a V-groove bit, or a very stark chamfering bit. Some come to a very small ball tip, and there are a few thin compression bits, but most are pointy. The other striking feature is the rainbow of color on the Spektra Extreme Tool Life bits. It’s a micro-thin ceramic coating that lets the bit stay sharp longer because it prevents high heat and oxidation. 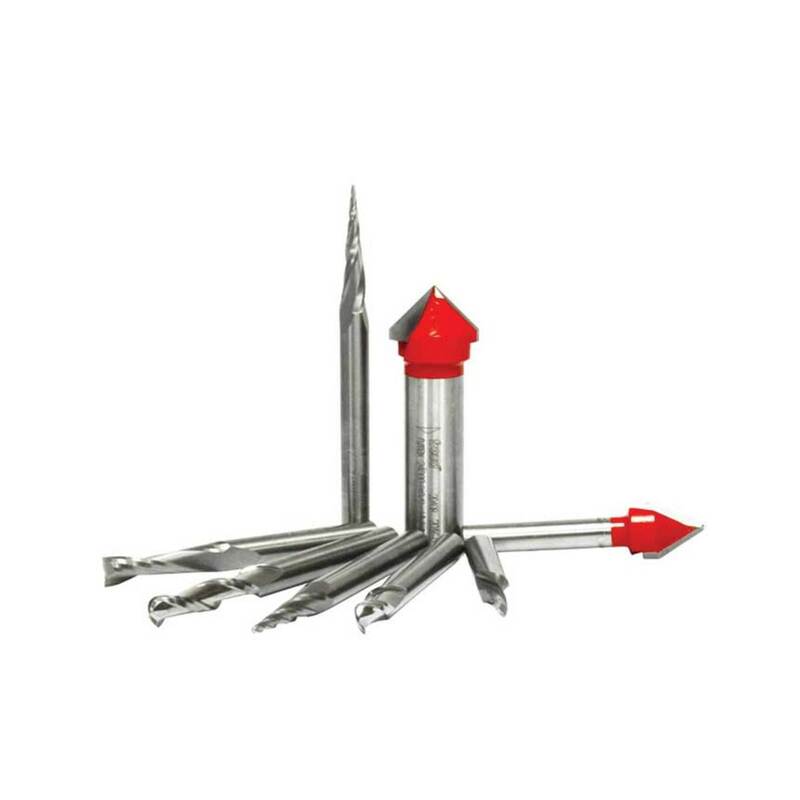 Amana Tool also offers an eight-piece set designed specifically for sign-making (item No. AMS-130). Infinity Cutting Tools (infinitytools.com) also offers an eight-piece starter set (item No. 00-007), which has more of an emphasis on curved profiles than Amana’s. It’s not designated as a CNC set, but has standard shafts. Freud’s 87-108 sign making set. Freud (freudtools.com) offers an eight-piece set (item No. 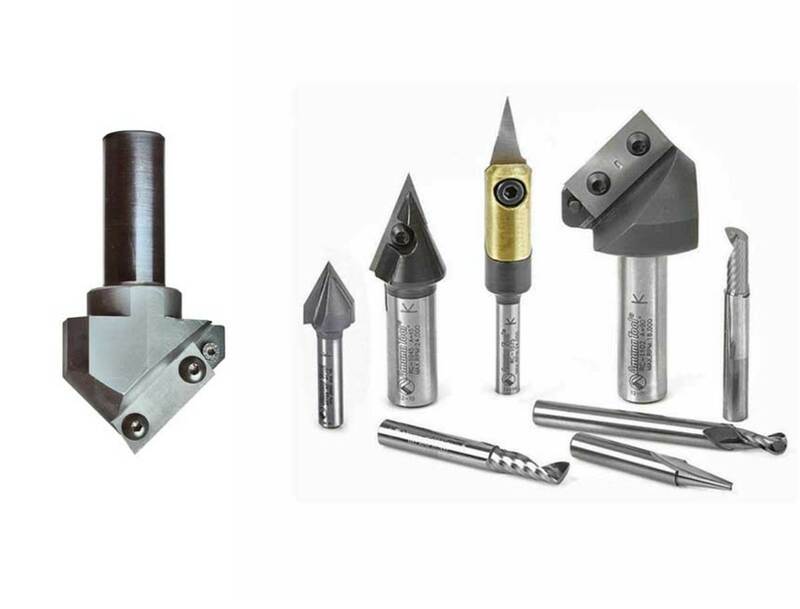 87-108) which has V-Groove bits with a steep taper for sharp, deep grooves; up and down spiral bits for making clean, fast cuts; and ball nose bits to make clean, deep grooves with a gently rounded bottom. 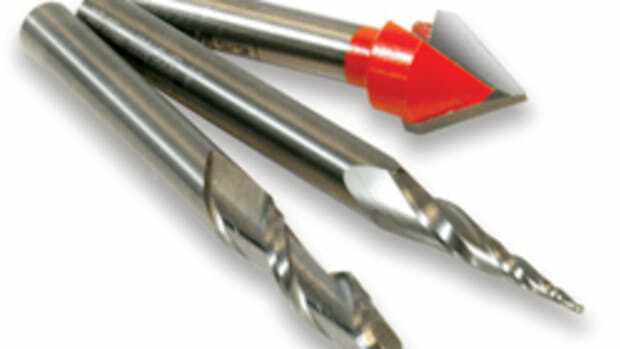 CMT Orange Tools (cmtutensili.it) has a dedicated sign making V-groove insert bit (663.101.11) that has a high grade HWM reversible knife that’s ideal for general purpose wood, chipboard and plywood. 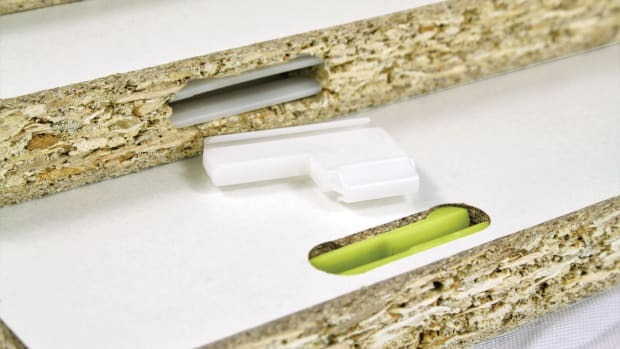 But a higher quality insert is available for laminated and MDF material. And for delicate work and inlays on signs, have a look at Donek Tools’ drag knife (donektools.com). It can be used to cut almost anything you would cut with a utility knife, but with the speed and precision of a CNC router. 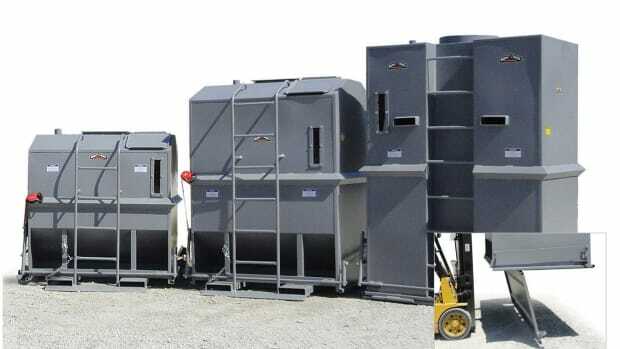 AXYZ International (axyz.com) has developed a number of comprehensive CNC machining solutions and important productivity options for sign makers. The company says that the flexibility of an AXYZ CNC router allows commercial sign fabricators to produce dimensional signage one day, aluminum letters the next morning and print-to-cut graphics that afternoon. 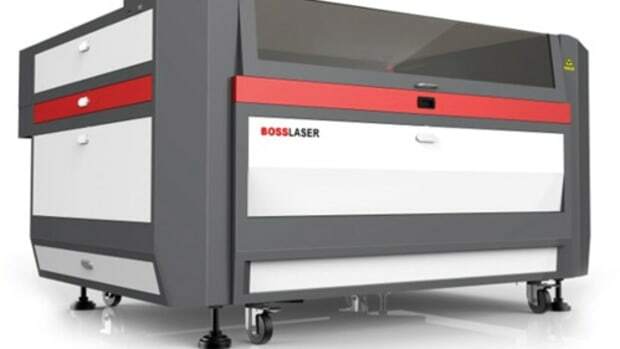 Additional productivity options include misters for routing aluminum and other non-ferrous metals, pneumatic drills for rapid hole drilling, automatic tool changers for a wider selection of cutting tools and an AXYZ vision system, which is a high-performance camera mounted on the head of the machine for print-to-cut applications. The starter set available from Infinity Cutting Tools. 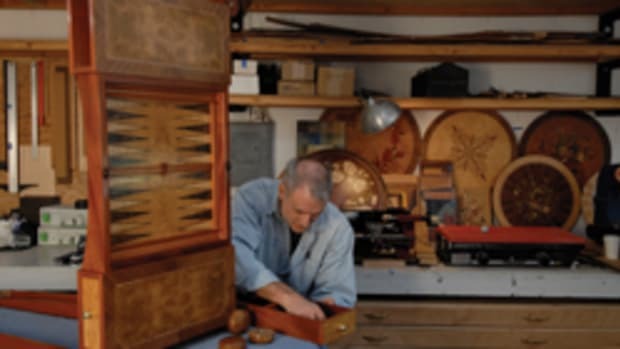 Digital WoodCarver, a small manufacturer in Martinsville, Ind. has a gallery of signs made on its machines at digitalwoodcarver.com. Diversified Machine Systems (dmscncrouters.com) has a page on its website that recognizes the artistry involved in making signs. The company’s emphasis is on the way that art and technology can merge and mesh to bring visions to reality. Legacy Woodworking Machinery has a photo gallery at lwmcnc.com showing some of its customers’ sign work. Vision Engravering & Routing Systems (visionengravers.com) says its CNCs “can create a variety of sign styles, including 3D cutout letters, dimensional signs, and beautiful print-to-cut designs. In addition, Vision makes it easy to create ADA-compliant signs by using the Automatic Raster Braille Insertion Tool”. And Laguna Tools (lagunatools.com) suggests that professional sign shops take a look at its MT Series of CNC routers. The MT stands for multi-tool, and these machines come with the option of multiple heads. 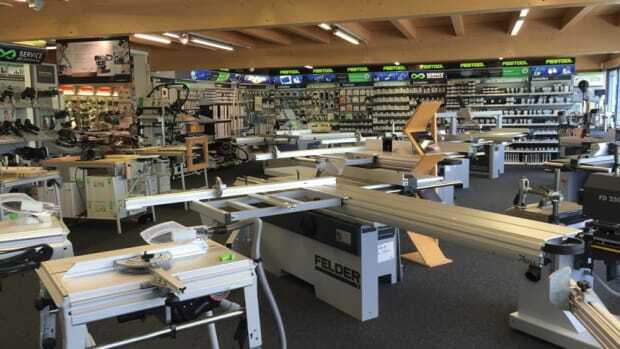 Each of these machines can house a router, oscillating knife, tangential knife, Laguna Vision System, creasing wheels and more. DON’T WASTE THE WASTE: Instead of looking at scrap and sawdust as a nuisance, consider it as a resource that can generate greater profits. Rising out of the ashes of war, Ikea spent the second half of the 20th century developing ways to flat-pack furniture. Sign making is definitely one route that a woodshop can take to turn an idle CNC router into a profitable investment. Pretty much any model can carve signs in wood, foam or plastic, and the major physical limit is usually just the size of the machine’s work area. Having one machine complete several tasks is more of a European than an American notion.